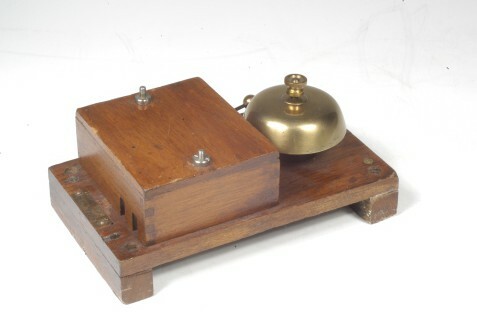 ‘Marconi’ Auto-Alarm Bell Type, c. 1920 (Inv. 14147). Used on board ships, probably to alert the crew to a distress signal, this bell would also sound at a loud volume. Story: When I was about 8 or 9, I had a box of wires, magnets, bells, buzzers and other old electrical stuff, which I kept in the shed at the bottom of the garden. I also had a couple of large and heavy capacitors/rechargeable batteries (not entirely sure which) which my dad had fitted handles to, so I could wind them and charge them up. I remember going to the shed when I was bored or annoyed, getting it all out on the bench and playing with it. I especially liked winding the handle on a battery for as long as I could, then connecting it to the wires of an electric bell, making it ring very loudly for several seconds. I found the volume almost scary, but I loved that I was the one who had created the power that went down the wires and made it ring. What are our stories about? Copyright © 2019 For the Love of It.